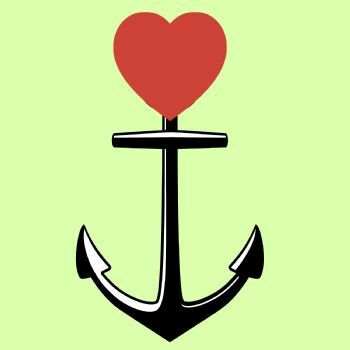 What is Your Heart Anchor? The end of 2015 my friend Debbie had major surgery to remove a large, (benign) tumor that was wrapped around her mesenteric artery. She was thrilled to have the tumor out, but a side effect of the surgery was (and continues to be) that her body doesn't seem to want to keep food down. After a couple of weeks out of the hospital, she had to have a PICC line put in, so she could get her nutrition from a bag. I am not a medical professional, so please excuse my very basic knowledge. Debbie told me that her PICC line ran from her upper arm down to the large vessel that goes into the heart. She called it her "heart anchor." We both thought that was such a cool term.